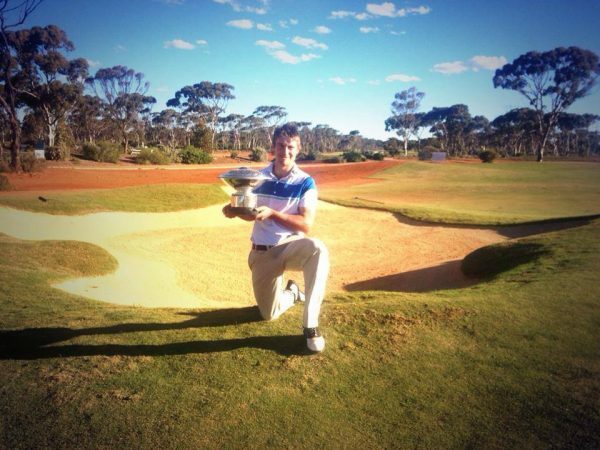 PGA Trainee Professional Jack Wilson has taken out the WA Goldfields PGA Championship at Kalgoorlie Golf Course following a payoff with New Zealand’s Nick Gillespie. After finishing level with Gillespie at 10-under-par, Wilson needed one playoff hole to take out the PGA Tour of Australasia event, going wire-to-wire to claim his first Professional title. “It’s amazing, It’s a goal that I really wanted to achieve,” said Wilson who in taking out the tournament became the first ever Trainee to claim a PGA Tour of Australasia title. Wilson led comfortably for most of the final round before double bogeying the 15th hole in dramatic circumstances. The 22-year-old from Melbourne’s Kingswood Golf Club quickly recovered, however, and is over the moon with the opportunities now afforded to him over the next 15 months. “I’m so pumped to have the opportunity to play the Perth International, Australian PGA and Australian Open. I was looking for invites, but now there’s no need,” said Wilson who has earned exemption to the Tour for the remainder of 2013 and all of the 2014 season. At the post-round presentation Wilson thanked his family, friends and sponsors and the town of Kalgoorlie for hosting the WA Goldfields PGA Championship. Wilson praised the Graham Marsh-designed Kalgoorlie course and also congratulated the club on their junior program that saw so many up-and-coming golfers around on course throughout the week. The final leaderboard saw Wilson (72) and Gillespie (69) finish at 10-under-par, while Adam Bland (70) and James Nitties (70) finished a shot back at 9-under-par. Jordan Sherratt (69) finished fifth at 7-under, while Max McCardle (72) and Scott Laycock (67) finished at 6-under. See the final WA Goldfields PGA Championship leaderboard at www.pga.org.au/wa-pga. The PGA Tour of Australasia now moves to Perth and Mt Lawley Golf Course for the John Hughes / Nexus Risk Services WA Open Championship to be played from October 10 – 13, 2013.